While this scenario was not revealed, per se, all of the Oceanic Six did go down in a chopper that crashed into the water. Perhaps they were all hurt in this moment and began imagining the rest of their scenarios. I mean, c’mon. Penny’s boat suddenly arrives? Desmond is finally reunited with his long lost love? 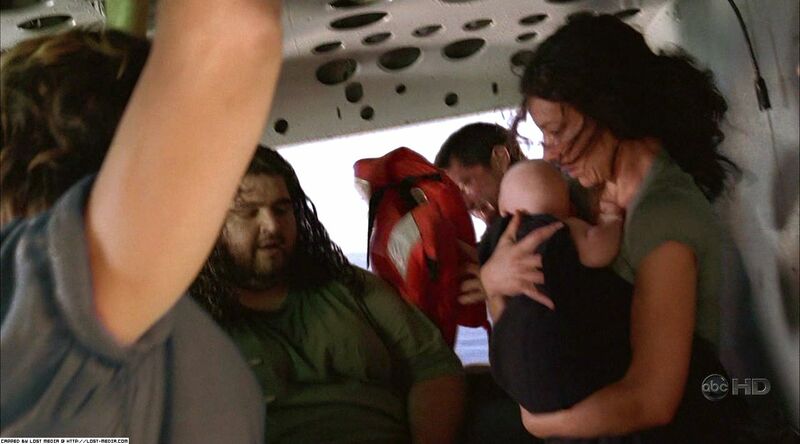 They get to an island and are able to be rescued? Seems a little too good to be true, eh? A delusion perhaps? The title of the episode hints at this. “There’s No Place Like Home,” So click your heels together Losties and imagine yourself out of this dream world. But, which is the dream? With Sun finally able to talk back to her father and Widmore, and Hurley seeing the numbers and dead people, I’m thinking things aren’t what they seem. I believe that when they went down in the chopper, they all sort of entered this coma-like state and are imagining their rescue. As time goes on however, things aren’t quite right and their subconscious is trying to get them to return to the island so they can snap out of it. Like a thumb drive that is pulled from a computer without first being dragged to the trash, the gang is stuck between worlds and need to return to the island to be properly “ejected” from the simulation. This would fit the typical Lost-styled twist because while we think that the Oceanic Six are the only ones to escape the island, the truth is they are likely the only ones who haven’t! A very big nod to the simulation theory happened when Ben filled the transportation chamber with metal—which you are not supposed to do—and blew a hole in the wall to get to a frigid world. Immediately, this reminded me of the hidden Easter eggs that programmers hide in videogames. Usually, one has to do something that goes beyond the rules of the game to get a special surprise or go to a secret level (Super Mario Brothers had a bunch of them). This seems to be exactly what Ben did. He blew a hole in his simulation world and ended up in another one—a frigid world containing the markings of ancient hieroglyphs. Similar, perhaps to the markings on the door for the monster and countdown timer? Seems to fit in with the period of the four-toed statues as well. As stated in my book, I believe this is all part of a previous simulation or game that pre-dates the LOST simulation. At this point, Ben moves the island. To me, if this is what has really occurred, then this is the moment that Lost has officially jumped the shark. I mean, monsters and ghosts and whispers are all mysteries that can be explained away—but moving an entire island? I feel like unless my simulation does indeed turn out to be the case, this scenario is ridiculous. 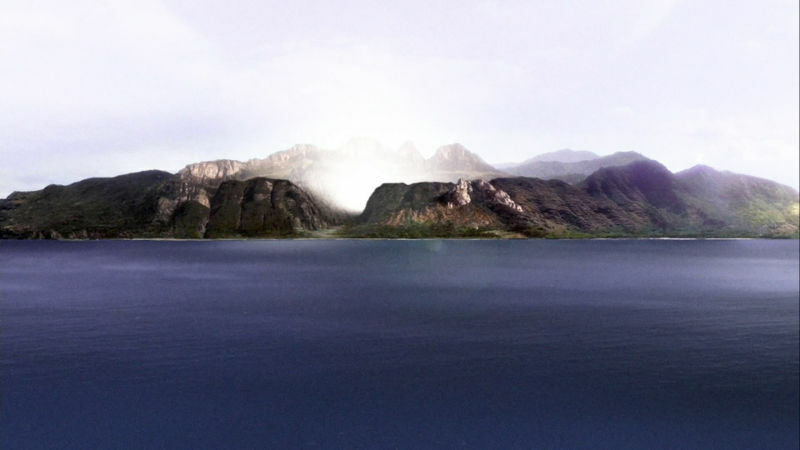 If the island does turn out to be a real place, it would need so much explaining at this point, it would just become silly—like the ending of X-Files. 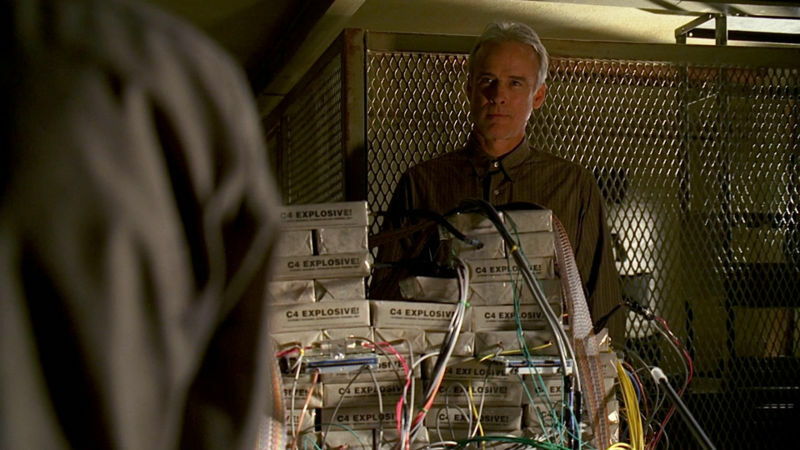 Mythologically speaking, there was a clear highlight to this episode and that was Jack’s father appearing to Michael and telling him he could go now—and then Michael dying in the freighter blast. The fact that Michael was protected from death until he served out his destiny (of saving others) relates in our world to the idea of guardian angels—that something protects us and watches over us so we can fulfill our destinies. I don’t believe I spoke of this in Myth of Lost. But I did mention it quite a bit in my other book, The Layman’s Answers to Everything, which I will get back to editing one of these days. The other major mythological moment was when Claire appeared to Kate in a dream. Since this happens off the island, it doesn’t fit into the classic idea of the myth (the gang is now experiencing wonders back in Kansas as opposed to Oz), but since it turns out to be a dream, it sort of squeaks by, as does Charlie appearing to Hurley (since Hurley is supposedly crazy). 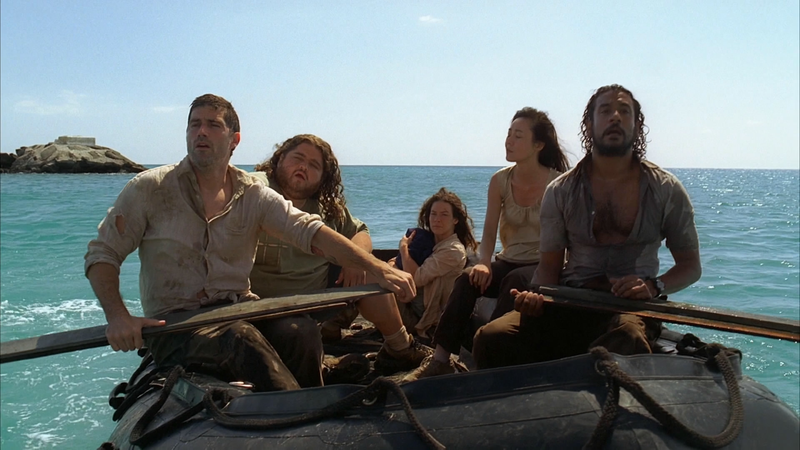 Lost has dealt with dreams many times before, so there’s no real new territory here. I just thought it was kinda creepy since Kate says “get away from my baby” and instead of freaking out over her saying this, Claire tells her not to bring Aaron back to the island. Oddly however, the backwards phone call heard in Kate’s dream when played forwards says that she should return to the island: “The Island needs you. You have to go back before it’s too late.” Makes me wonder if good and evil forces are battling for her soul—or Aaron’s. Also in this episode, we find out that it is Locke in the coffin and that he is really Jeremy Bentham. I comment on the origins of the name in my Lost book based on the obit from last season. I originally figured it was Ben, but at least he is in the room at the time, so I was close. Being Locke however, the more pressing question for me is not how he got off the island or how he really died, but why his name is different. 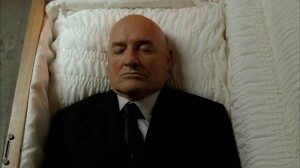 Perhaps he picked an alias of John Locke inside the simulation? Or is Jack just imagining all this since it’s a dream or alternate reality? Hopefully we’ll find out in season five. Another interesting thing for me in this episode is that we learn from Miles that Charlotte was on the island before, and Charlotte claims she was even born there. Could she be Ben’s long-lost ladyfriend from childhood, Annie? I say, no because of Charlotte’s accent. This was intriguing, but I’ll need more info to analyze its meaning mythologically. A typical scenario for a classic maverick character like Sawyer would be for him to finally let himself be vulnerable and fall in love, only to die in the arms of the one who melted his heart. 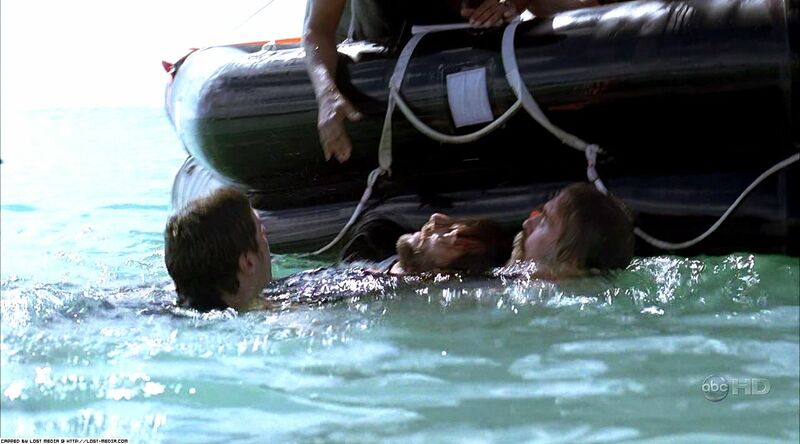 I can totally see Sawyer meeting his demise by sacrificing himself to save Kate. This would be in line with his archetypal character and would provide an acceptable, albeit tear-jerking, way for him to bite the bullet. If the creators are on top of their myth game, this may be how Sawyer meets his end on the island. 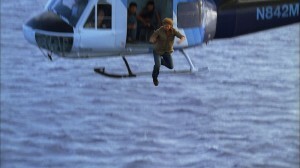 The scene of Sawyer jumping off the helicopter in order to save Kate and the others satisfies his archetypal role even though he didn’t die. In effect, he sacrificed his chance to get off of the island and be with Kate—the girl he’s grown to love. Still, I do not believe this is the end for these two since they are a mythological match who are meant to be together in this reality or another. Overall, the episode was decent, just not up to Lost season finale standards—especially after last season’s raised the bar so high. Season Four was okay—seemed to mostly be stalling in my opinion. It brought up new questions, answered a few of them, and answered even fewer, if any, from previous seasons. I guess I’m grateful since this means my book’s theory, while wounded in some ways due to the flash-forwards, is still very much alive. 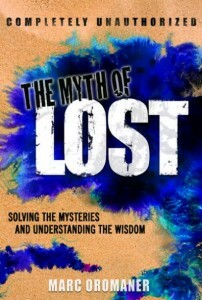 But even if it should be completely different from what the writers end up with for the show, the mythological wisdom it helps uncover will still be completely relevant for answering the mysteries of our lives. So i kno im just a wee bit late on this :).. but after seeing the ending to this great show and your simulation theory not turning out to be correct do you still believe your quote above? revisiting. I surprise how a lot effort you set to make one of these wonderful informative website.